Want to learn more about what the astronauts hope to achieve? Watch NASA’s technical briefing. 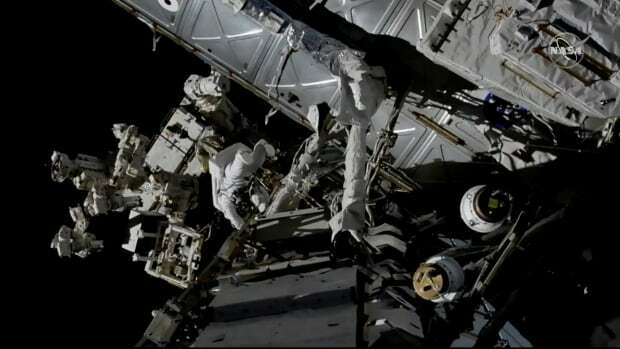 Last week, flight controllers used the space station’s robot arm to remove the failed battery along with an associated charging device. Working remotely, the controllers also installed a spare charging device and one of the old batteries made of nickel hydrogen. The second outdated battery will go in — robotically — later this week.